Why drink 365 beers in 365 days? 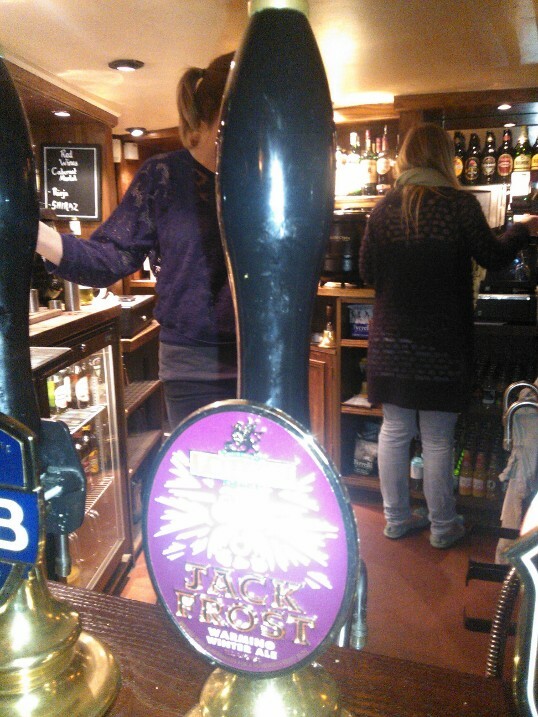 I may not have known whether I had a new beer on Sunday (Abingdon Bridge or Cumbrian XB? probably Bridge but I don’t want to admit it, I am in denial), but the weekend was not a total whiteout. Get it, all that snow! I managed to try seven new beers and lagers. Woohoo! Friday night saw a Northern beer from Tadcaster, Samuel Smith’s Nut Brown Ale, and a Greek beer called Thursday’s Red Ale. Thursday was the better one. Nut Brown ale was, well, too nutty! Made to taste of beech nuts, almonds and walnuts, according to the tasting notes, with a rich nutty colour. Thursday was a bit like a red lager and was more refreshing than the Nutty Ale. Saturday night saw a trip to Oxford in the Snow starting with a visit to The Bear. I do like this place but it is always busy. And why is it that the tallest people always stand in the lowest ceiling part of the bar? So funny watching them with bent necks trying not to bang their heads. Being a Fuller’s pub, it was either a Fuller’s beer or Shotover’s Prospect or Scholar (these are the guest beers they usually have on). Fuller’s Jack Frost sounded good, so I opted for that (see the 1st cool photo?!). It was a good beer that had a toffee, tea and fruity berry taste that didn’t dominate the overall hoppy and bitterness flavour of the beer. Well, that’s what the tasting notes say. I say it was a good drinkable beer. Maybe I need to learn how to taste beer properly, use all the fancy tasting words that you see on the tasting notes. They must do courses for beer tasting, like wine tasting courses for wine (note to self: look for a beer tasting course). After this, the night continued and finished with a streak of Lagers, Spanish lagers, at Kazbar on the Cowley Road. Three different beers were drunk including Alhambra Negra, a rather good, dark beer, that is slightly malty, quite fresh and medium bodied, and Mahou (see 2nd cool photo?!) 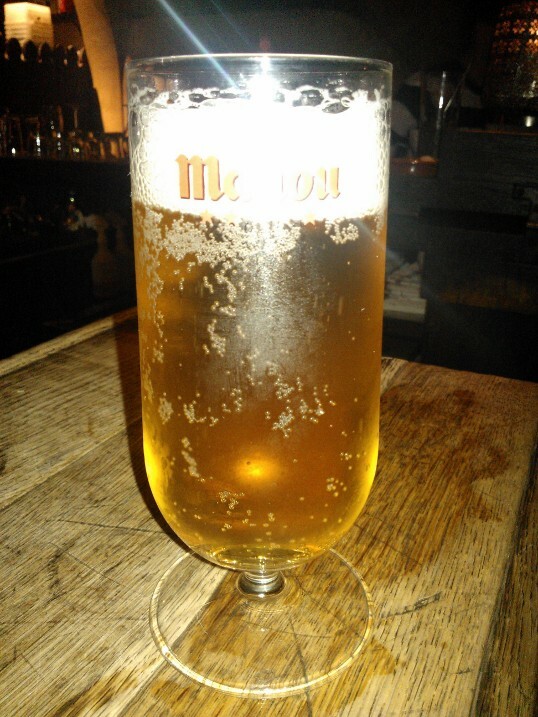 and Estrella, middle of the road Spanish lagers that don’t hold a candle to San Miguel 1516. I do like that lager beer. Have I said before how smooth it is? So, Sunday accepted, it was good beer weekend that increased the total beer count to 28, as you can see from the good photos (2nd note to self: take better photos of the hand pumps and the beers). The first of many Beer Tasting Evenings?